We are a leading Manufacturer of Stationery Staples from Pune, India. 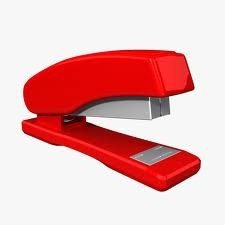 We are a famous company that supplies and wholesales Staplers. These Staplers are available in plethora of specifications and shapes. Moreover, these Staplers are made up of supreme quality of raw material that is purchased from our trusted vendors. These Staplers are known for their great performance. Last but not the least, the Staplers of our company is available at customer friendly prices.